The self-developed high-tech flying robot SensorCopter facilitates airborne inspection of vertical objects. The mini-helicopter is equipped with sensors and cameras. The captured images are evaluated. A fully IT-based report of possible damage is automatically generated. 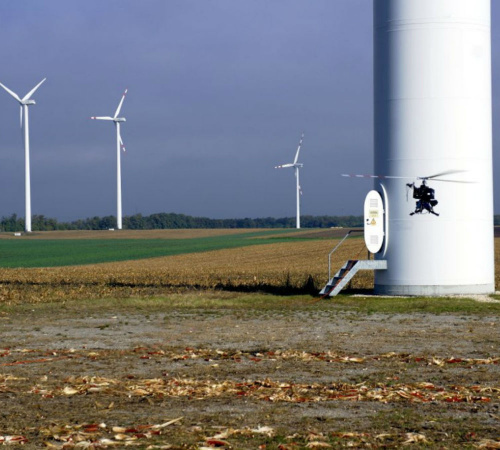 The SensorCopter is an unmanned, semi-automatic helicopter with a rotor diameter of 2.3 meters / 6.7 inches. Precision flying is carried-out via autopilot. 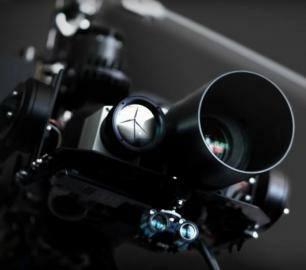 Several high-resolution cameras and sensors are attached to a gimbal, making a continuous and competed data collection possible. The gathered data is sent to a mobile ground station, undergoing a post-processing step and can be viewed by ‘Aero-View’, the company’s proprietary software. 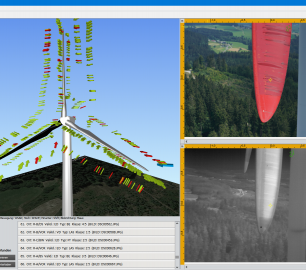 In addition, with the more sophisticated ‘Aero-Lyse’ software data can be analyzed and marked. Finally, an automatically report on the actual state of the examined plant can be generated and printed. 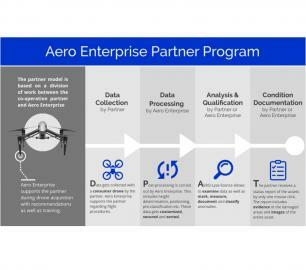 Aero Enterprise supports the customer during UAV projects like development of special UAVs, certificates of airworthiness and documentation as well as external payloads.